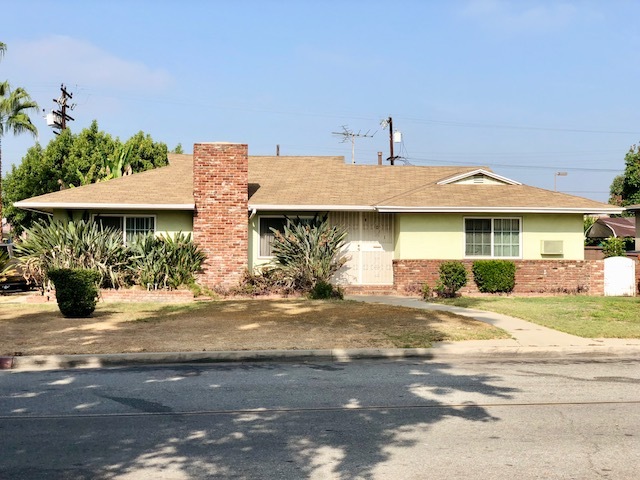 DESCRIPTION: GREAT OPPORTUNITY TO BUY A 2 BEDROOM, 1¾ BATH HOME PLUS A DEN ON A CORNER LOT IN WEST COVINA. THE HOME FEATURES A LIVING ROOM WITH FIREPLACE AND DINING AREA. KITCHEN WITH TRASH COMPACTOR, DISHWASHER, RANGE AND BREAKFAST AREA. CENTRAL AIR CONDITIONING & HEATING. 2 CAR DETACHED GARAGE WITH ELECTRIC ROLLUP DOOR, ATTACHED STORAGE ROOM, SIDE BY SIDE WASHER/DRYER HOOKUP, UTILITY SINK AND TOILET (TOILET MAY NOT BE PERMITTED). OUTSIDE COVERED BREEZEWAY, PATIO AND LARGE GRASS YARD WITH FRUIT TREES. GREAT FIXER OPPORTUNITY. NO COURT CONFIRMATION.